If you want your business to grow, you have to get your name and your products or services in front of your customers and prospects – and keep them there. For over thirty years now our readers have picked up our paper not because they’re simply looking, but because they want to buy! From small items like clothing to large ones like buying a home, people rely on their local Thrifty Nickel! You may already know some of our sales team & maybe you just haven’t connected in awhile. If this sounds like you, then call (432) 333-4184 and reconnect with Jay, Brenda, Mary, or Virginia today! Let Us Create Ads That The Public Will Remember When It’s Time To Buy! We can prepare copy for your business that will be strong, forceful, & convincing so that it stays at the top of your target audience’s minds when they’re ready to buy. We can place this copy in the avenues that make the most sense for your business, including a national print audience, online, & social media. We want to help you take your advertising budget and make it into a profitable investment, not just speculation. The reason why the Permian Basin Thrifty Nickel works, is because of our great people working hard to help you achieve your goals. With so many advertising opportunities available today, it’s nice to still have someone around with a human touch that truly cares about the same things you do. Did you know that Thrifty Nickel can help you advertise in America from the East Coast to the West Coast, and everywhere in between? Our team here in Odessa, Texas is ready to help your ads get seen all across the country. From Los Angeles to New York, and even twenty-one different cities in the great state of Texas, we can do it all for you. Chances are that this sounds like a very interesting idea, but you may be worried about the price. Well with Thrifty Nickel you can get the best rates in the country and get your ads seen nationally for much less than you think. Right now at Thrifty Nickel when you buy a classified ad for three weeks and donate two cans of food, we’ll give you a fourth week free! The fourth free week is up to ten words, and each word after is only forty cents. No variations of this promotion are allowed, food must be donated at time of ad placement. All the food we collect will go toward West Texas Food Bank, where they work tirelessly to end hunger in our community! Don’t miss out on this great deal, and feel happy that you’ve helped those in need! We would like to introduce & welcome Greg Miller, who is stepping into the Assistant Sales Manager role with us. Donate some food and save money! That warm summertime air is almost here, and wouldn’t a getaway be nice? Well if so, then do we have the contest for you! This year Thrifty Nickel is teaming up with Schlitterbahn to giveaway tickets to some of our lucky readers and their families. 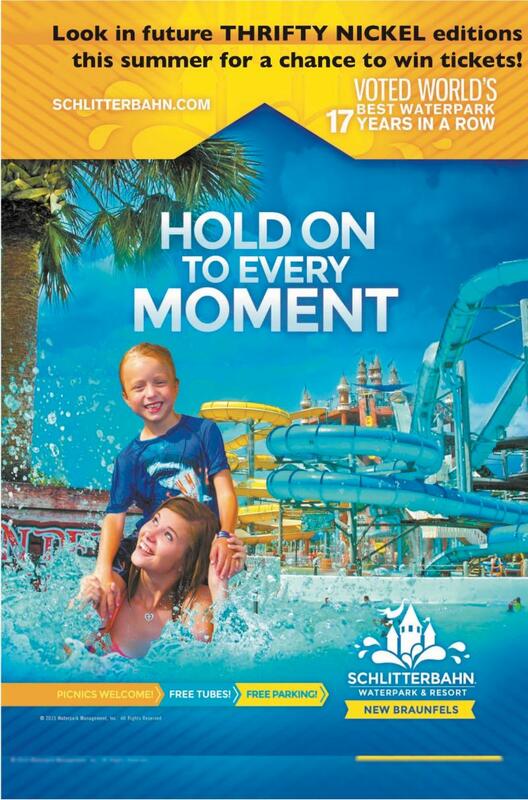 Schlitterbahn has been voted the world’s best waterpark seventeen years in a row, so make sure you don’t miss out on the fun! Giveaways will begin with this week’s new issue on 4/19, so be sure you’re picking us up every week for your chance to win. Baseball season has officially begun and the Midland Rockhounds are looking to repeat last season’s success. 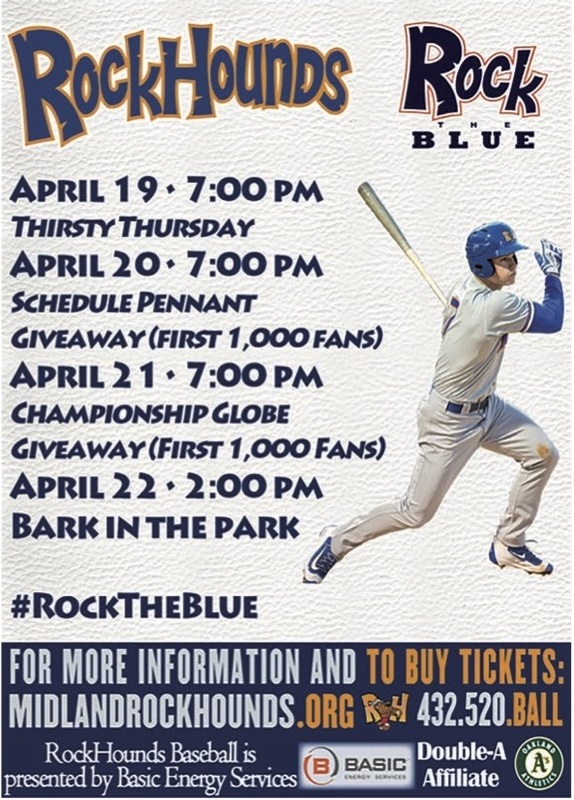 This Thursday marks their home opener against San Antonio and it’ll also be Thirsty Thursday at Security Bank Ballpark. Get your tickets today and don’t miss out on all the fun times and giveaways going on during this series! Advertise or find your perfect services with us at OurThriftyNickel.com. It really couldn’t be easier. Head over, sign up for an account and then place an ad! Available 24 hours a day, 7 days a week. Try it out! 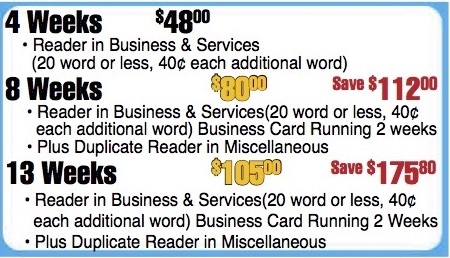 For walk in’s it’s only $5.75 for the first ten words, .40 cents per each additional word. One picture free with each ad! For those who prefer a human touch for your business interactions, then feel free to call in and place an ad. Our helpful and friendly staff are available starting at 8:00 every day of the week. On Monday, Wednesday, and Thursday our phone transactions and business locations shut down at 5:00 PM, Tuesdays till 6:00 PM, and Fridays till 2:00 PM. 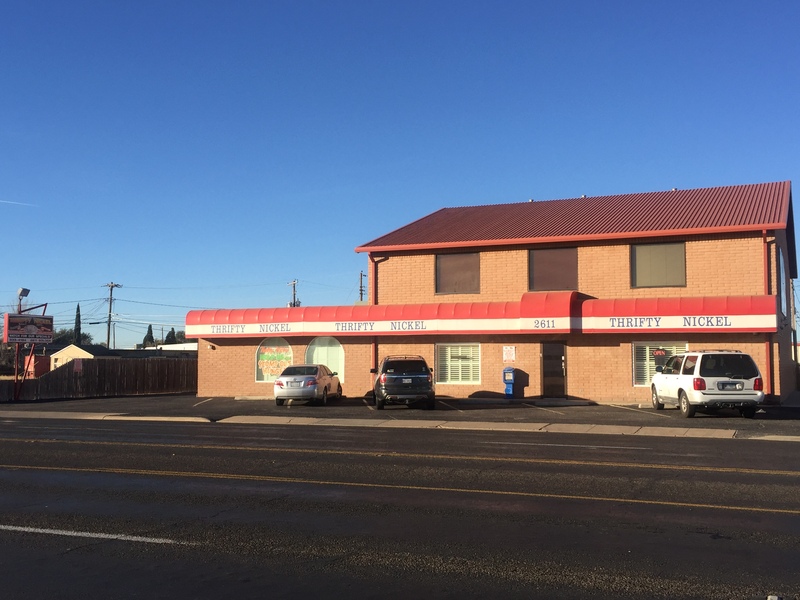 If you’re already out on the town running errands, we’re conveniently located at 2611 Golder Avenue, Odessa TX, 79761. That address works for all your mail-in ads as well! We also have newspaper stands in most of your local stores, including all the 7-Eleven stores in Odessa and Midland! You can also find Thrifty Nickel at Supermercado in Midland, El Rancho in Odessa, H-E-B, and Albertsons!Â If we don’t have a stand in your favorite store, call us and we’ll get one there, just for you! We hope that everyone has a wonderful Easter with their friends & family. Our office will be closing at noon on Friday March 30th so that our employees can enjoy some extra time with their loved ones. We will back open under normal hours on Monday April 2nd. That warm summertime air is almost here, and wouldn’t a getaway be nice? Well if so, then do we have the contest for you! This year Thrifty Nickel is teaming up with Schlitterbahn to giveaway tickets to some of our lucky readers and their families. Schlitterbahn has been voted the world’s best waterpark seventeen years in a row, so make sure you don’t miss out on the fun! Details will be coming around soon, so keep an eye out and make sure you’re checking each week’s new Thrifty Nickel issue! Get Championship Savings With Thrifty Nickel! 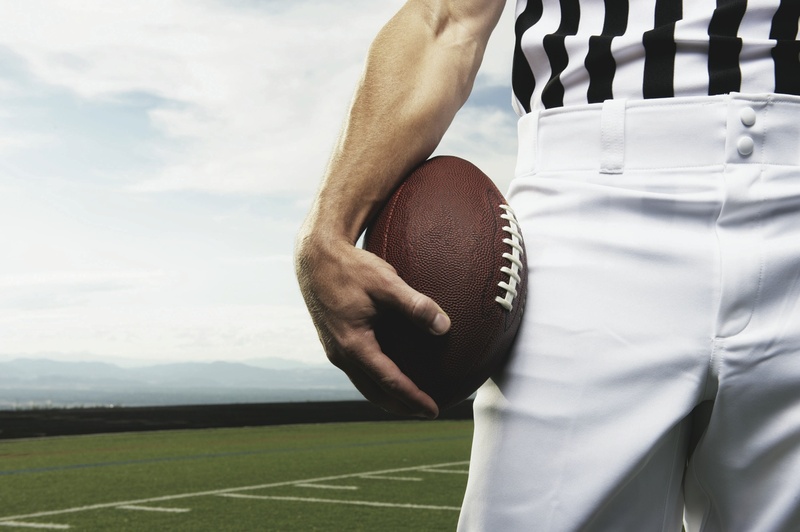 The end of Football season is sadly almost here, with just one big game left until August. The Philadelphia Eagles will take on the New England Patriots in a battle to be crowned Super Bowl 52 champions on February 4th. Good luck to both teams, but I know I’ll be rooting for an upset by the underdogs. Who do you want to see win it all this year? We’ve posted a poll on our Facebook page, so vote & let us know! 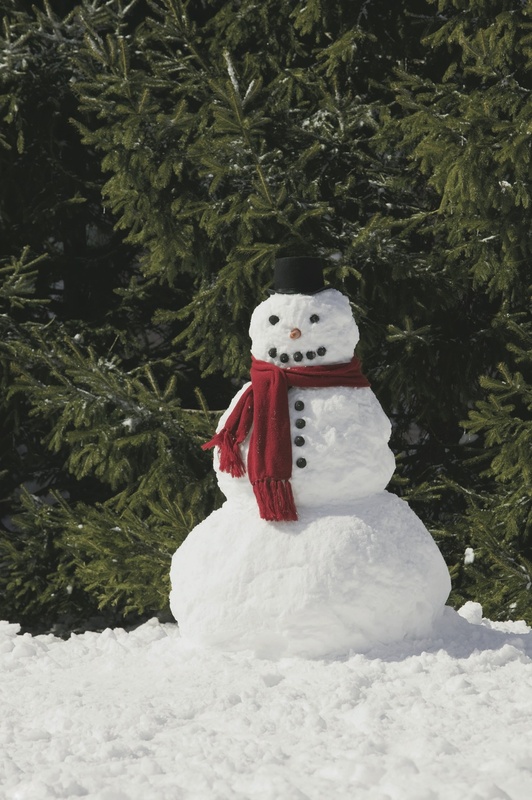 Are you looking forward to winter being over and the warm months of summer to finally be here? Well if so, then do we have the contest for you! 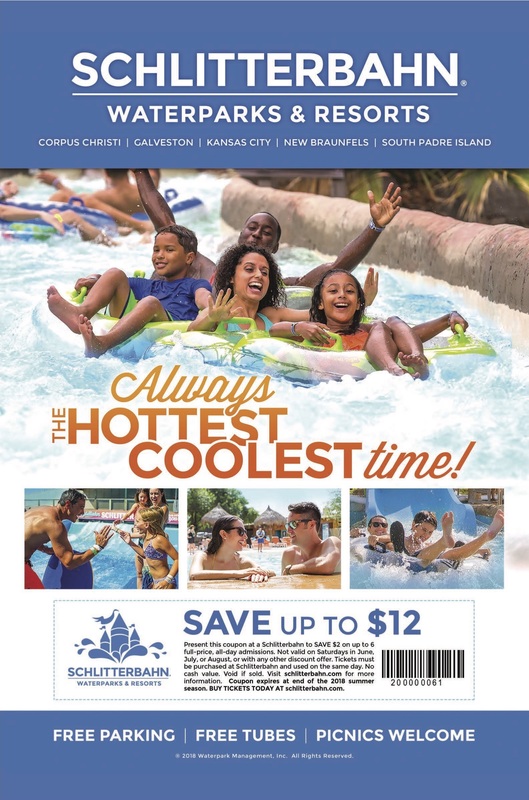 This year Thrifty Nickel is teaming up with Schlitterbahn to give away tickets to some of our lucky readers and their families. Schlitterbahn has been the ticket to summer fun for over 35 years & if you haven’t been recently then it’s time to go back. Details will be coming around April, so keep an eye out and make sure you keep checking each week’s new Thrifty Nickel issue! Advertise or find your perfect services with us at OurThriftyNickel.com. It really couldn’t be easier. Head over, sign up for an account and then place an ad! Available 24 hours a day, 7 days a week. Try it out! 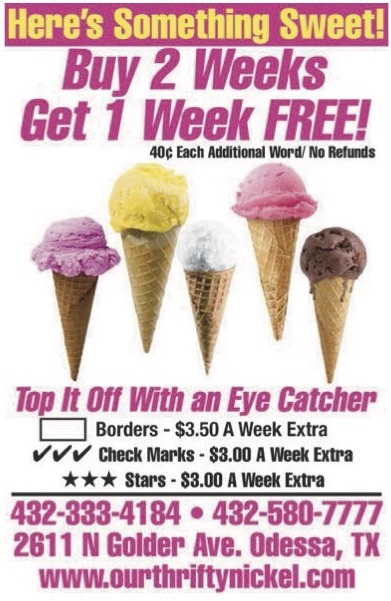 For walk in’s it’s only $5.75 for the first ten words, .40 cents per each additional word. One picture free with each ad! For those who prefer a human touch for your business interactions, then feel free to call in and place an ad. Our helpful and friendly staff are available starting at 8:00 every day of the week. On Monday, Wednesday, and Thursday our phone transactions and business locations shut down at 5:00 PM, Tuesdays till 6:00, and Fridays till 2:00 PM. 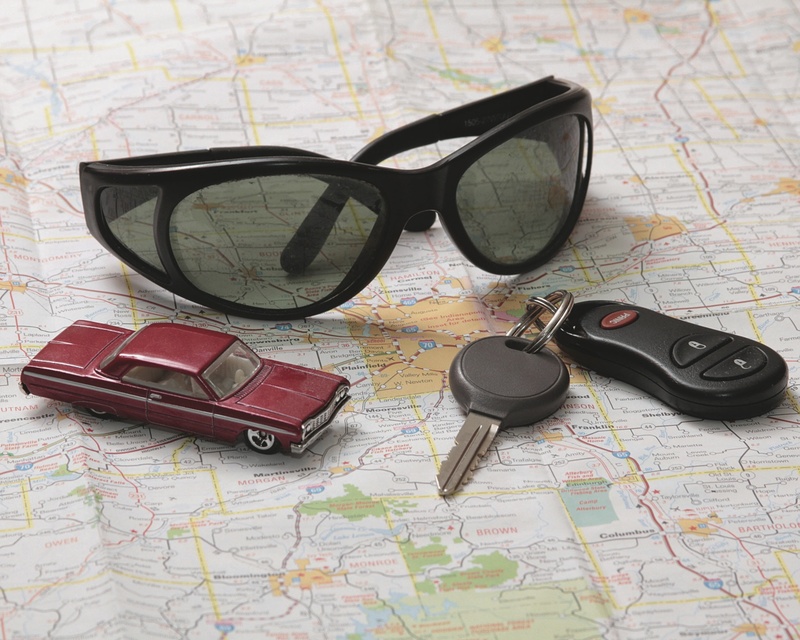 Get Your Ads Seen Coast-To-Coast With Thrifty Nickel’s National Advertising Program! If your company is unsure about placing an ad and you just want to dip in your toes in the water, then I believe our Business & Service Directory is a great place to start. Affordable rates that will help you see the results you need to dive head first into the world of advertising. 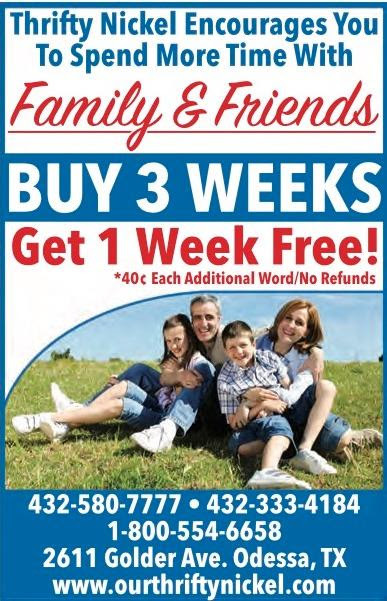 Our thirteen week plan will only cost you $8.08 per week, so call today! Worried about the internet and social media taking over? Well stay in the game with Thrifty Nickel! Our paper utilizes Facebook, Twitter, Instagram, OurThriftyNickel.com, Yelp, a weekly blog, & TNOL.com to reach over 120,000 people a month! This is a free addition to any ads you place in our paper, which already has a huge readership all across the Permian Basin! Thrifty Nickel really is the most bang for your buck, so advertise today! If you’re having a hard time and find yourself going hungry until payday, help is out there. If your child can’t afford a lunch ticket at school, then have no fear. Text your order to Mrs. Marla at 432-967-8055. Mrs. Marla is a good person who cooks for the homeless and helps feed families who are going through tough times. Please let her know if she can help you today, also if you have spare money for a donation or food items, that would also help Mrs. Marla!” Go to: “Marla’s Help For The Hungry” on Facebook. Marla is grateful, thankful, and blessed for all the support she can get to help feed the hungry in our community. Utilize the Thrifty Nickel Classifieds, serving the Permian Basin for over thirty six years, & reaching over one hundred thousand households. Hurry Up & Don’t Miss Out, It’s Fireworks Time! 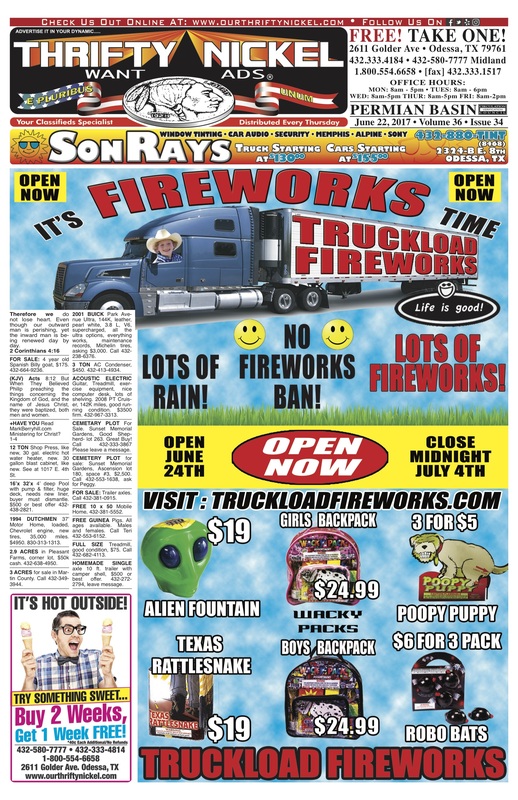 This week’s brand new issue features Truckload Fireworks on the front page as they gear up for the upcoming Fourth of July festivities! Thanks to all the rain, there is no fireworks ban going on right now. So you need to get yourself over to one of Truckload’s many locations across the Permian Basin and stock up for the big day. They’re open now until midnight on July 4th. You can also check out their website at www.TruckloadFireworks.com to see all the great deals they have waiting for you! Summer time is here in full effect across the Permian Basin right now. Temperatures have been skyrocketing and I’m always thankful for cold air conditioning wherever I can find it! I spoke with someone last week in Odessa who had two air conditioning units break at their business and one break at their home all within seven days. That is never a good thing to deal with in the middle of June. Thankfully Thrifty Nickel has plenty of air conditioning experts listed in our Business & Service Directory that can help maintain your A/C units during these sweltering Summer months. Spring Into Savings At Thrifty Nickel! Spring is in the air here at Thrifty Nickel! We have to go through our warehouse and clean up some old boxes of thrifty materials, fix up some old stands, and make sure everything looks good for the Spring. You may have to do some of the same at your house, cleaning out the garage, attic, or even your office! If you’re like most people then you just have too much stuff cluttering up your home and it’s time for a change. Why not get rid of some of that stuff and make some cash in the process? A simple, inexpensive ad in our paper is fast and easy and will help you get that much needed cash in your pocket faster! Call us today and make sure your ad is in our next issue! 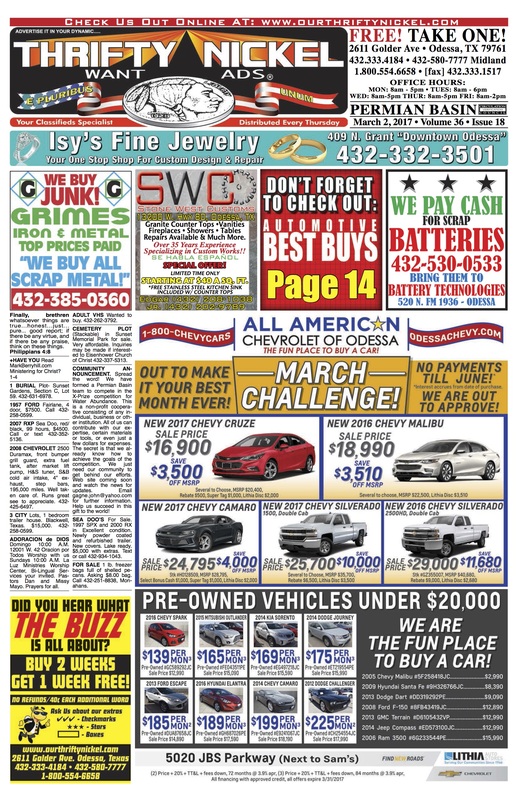 This week’s brand new issue features All American Chevrolet of Odessa on the front page. They want to make March your best month ever and you can drive away with no payments till June! That’s a great deal if you ask me, 3 months of no payments and you can drive away in a new car you’ll love. They even have great quality pre-owned vehicles under $20,000 right now. Stop on by 5020 JBS Parkway (next to Sam’s) in Odessa and tell them Thrifty Nickel sent you! Super Savings Are Here At Thrifty Nickel! What a game that was last night, congrats to the New England Patriots on winning Super Bowl 51 against the Atlanta Falcons 34-28. No matter if you love or hate Tom Brady, you have to respect that amazing comeback to the win the game last night! Just because football is over for a few months doesn’t mean the super savings stop here at Thrifty Nickel! Right now you can buy two weeks and get one week free up to ten words, .40 cents each additional word. You can also add borders, check marks, or stars to your classified ad for a few dollars extra and make sure your ad is a real eye catcher! If you want your ad to really stand out then you can get your ad in red text for only $10 more! You can have your ad in multiple places in the paper, don’t pay double, it’s just $3 more for each placement! Try us and you’ll see why Thrifty Nickel is the most affordable and cost effective advertising in the entire Permian Basin.